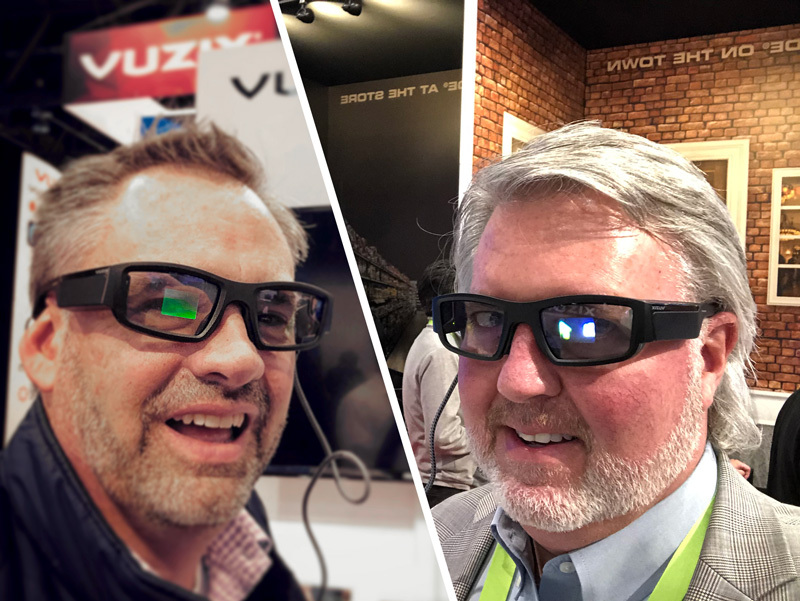 This month’s CES show revealed to our intrepid CIO and Principal that human beings will be the drivers of disruption and transformation in 2019. John: I’ll get right to it. In a lot of ways, CES was mind-blowing. But in other ways, it reinforced ideas and beliefs that I think most of us in the marketing industry already know. John: One session, hosted by Shelly Palmer, really resonated with me. He talked in depth about how the demand side – consumer demand – is driving disruption. There was a lot of discussion about human traits like empathy and emotion driving tech innovation. This is all sort of the reverse of the “build it and they will come” mentality that’s historically driven tech innovation. Deven: I liked how he used the new iPhone to illustrate the point, describing it as an amazing device that is not flying off the shelves because the consumer does not need, or is not demanding, all the innovation built into the device – yet. John: I think this underscores something we at OA believe pretty fervently – that the consumer holds all the cards. No pun intended having just come back from Vegas. But seriously, it’s critical that we, as marketers, deeply understand who our clients’ audiences are so that we are engaging with them through relevant means. Deven: Well, yeah. It’s an age-old marketing challenge, but today’s consumer is so maxed out on “noise,” that channels, content, timing – they all must converge at the place where the consumer is engaged in order to activate consideration. Otherwise, brands are lost. John: Which brings me to another interesting point that kept coming up at CES – this notion of “data without context is nothing.” Industry minds are readily admitting just how much of a mystery human beings actually are – and how much work goes into delving into their motivations, attitudes and behaviors to drive engagement. This is a removal from the rallying cries of “big data is everything, big data will solve everything” we heard just a few years ago. Deven: Absolutely. Look at the advent of Customer Data Platforms, which allow brands to hypertarget their customers: to pinpoint individuals whose online behaviors demonstrate they’re in the market for specific products. Anything from shoes to cars to multimillion-dollar vacation houses. These platforms work because they take the guesswork out of identifying consumer behaviors and preferences. They serve up a ready-made consideration set. It’s no longer brands wasting consumers’ time with meaningless advertising – brands are actually enhancing consumers’ time, even saving them time, because they are serving up sought content. John: But it also reinforces the idea that strategy and storytelling are still (and perhaps more than ever), essential to the brand-consumer relationship. CDPs can profile and pinpoint down to the individual, and those attributes give the consumer dimension. They turn consumers into actual human beings with their own preferences, unique characteristics and worldviews, all those human qualities that marketers need to tap into to incite a brand dialogue. Imagine that! Big data turning people into – people! Deven: Moving on to technology – I wasn’t so much floored by news about brand new technologies as I’ve been in the past, but I got some insight into new angles on tech advances that were pretty fascinating. Deven: Well, I heard a CES interview with Dr. Malladi, the general manager and senior Vice President at Qualcomm. He talked about the advent of 5G, and how the big conversation is always how fast 5G is. 100 gigabits per second. 100x, maybe even 1000x faster, than 4G! But the real advantage is, users’ average gigabits. 5G is being deployed in such a way that adoption will be much more widespread, which means that consumers will get radically faster speeds no matter where they are on the network. This will fundamentally change things. It will affect the Internet of Things and driverless cars and all these other rising technologies. John: Were there any new products that impressed you? I for one was really interested in the wearables, particularly the new Phillips headband that helps people achieve longer, more rejuvenating sleep with personalized sound waves that help you stay in your deep sleep zone. Amazing! Deven: I liked the 5-armed robot that’s controlled remotely over a 5G network. Since the latency is so low, the robot reacts almost immediately to the inputs of a remote human operator. The robot could be here in Raleigh, and you the operator could be up in Connecticut, and the robot is responding instantly to your commands. This is really huge for all kinds of applications – agriculture, military, manufacturing, healthcare. John: So basically, even advanced robots operating on 5G speeds still need humans to give them commands. We went all the way to Vegas to discover that tech innovation is driven by humans! Deven: Well, until AI fully onboards that knowledge by itself and takes over. Yes. John: Which will happen while we’re all wearing a deep sleep headband. Deven: Try to keep one eye open!